If I mix chocolate candy with something healthy, it stops being candy and becomes good for me, right? Right. Everybody knows that! 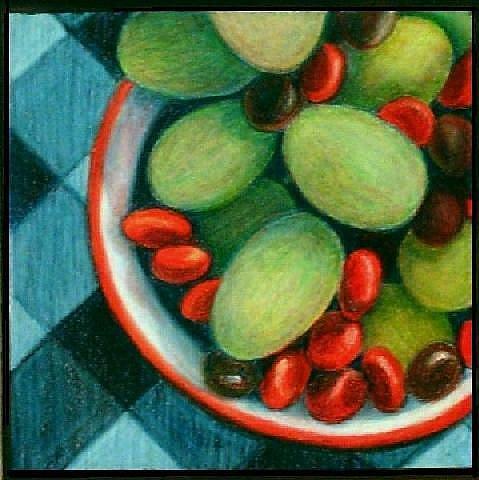 This is one of my favorite 'healthful' combinations, m&ms with green grapes. My entry for the Candy Show is colored pencil on paper. The drawing is 4 1/4" x 4 1/4". 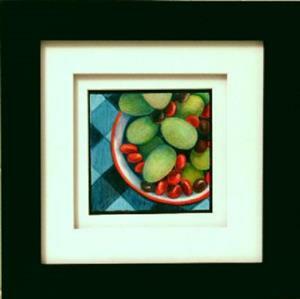 The framed size is 10 1/4" x 10 1/4". unframed 4 1/4" x 4 1/4"